LOS ANGELES (Reuters) - Colombian singer Carlos Vives and Argentine fusion group Illya Kuryaki & the Valderramas led the Latin Grammy Award nominations with five nods a piece, the Latin Recording Academy said on Wednesday. 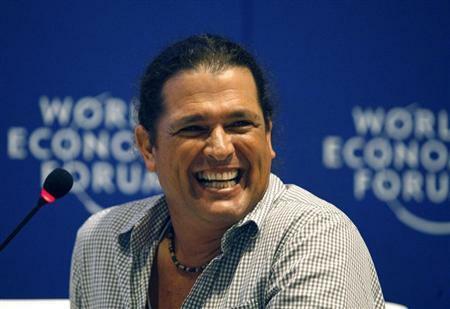 Veteran singer Vives, 52, snared nominations in key categories of album of the year for "Corazón Profundo," while his song "Volví A Nacer" was nominated for record of the year and song of the year. Illya Kuryaki & the Valderramas, a duo who take their name from the fictional television spy and former Colombian soccer player Carlos Valderrama, landed nominations at Latin music's top honors for best urban song and best alternative album. Spanish singer-songwriter Alejandro Sanz and Caetano Veloso, a pioneer in Brazil's Tropicalia music genre, each garnered four nominations. Sanz's album "La Música No Se Toca" was nominated for album of the year and best contemporary pop vocal album, while his song "Mi Marciana" was nominated for song of the year and record of the year. Veloso, 71, who earned a Latin Grammy lifetime achievement award last year, earned record of the year and song of the year nominations for the song "Um Abraçaço." Spanish singer and actor Miguel Bosé, 57, will be honored as the person of the year for lifetime achievement. His album "Papitwo" is also nominated for album of the year and best contemporary pop album. U.S. singer Natalie Cole, who released her first Spanish-language album, "En Español," in 2013, also received nominations for album of the year and record of the year for her song "Bachata Rosa," a duet with Dominican crooner Juan Luis Guerra. ET Is Live for Billboard Latin Music Awards: Here's How to Watch!